Landmark College's mission is to transform the way students learn, educators teach, and the public thinks about education. We provide highly accessible approaches to learning that empower individuals who learn differently to exceed their aspirations and to achieve their greatest potential. 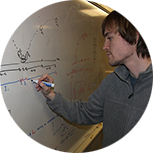 Through the Landmark College Institute for Research and Training, the College aims to extend its mission across the nation and throughout the world. 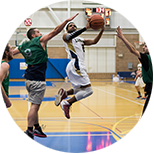 Here at Landmark College, students learn how to learn, and this knowledge helps them become more confident and independent. Students at Landmark College get far more personal, directed assistance than at traditional colleges that often offer a grab bag of accommodations for students with learning disabilities, ADHD, or ASD. Students at Landmark College receive individualized attention from classroom instructors—in courses tailored to meet their educational needs. This is evidenced by our exceptionally low student/faculty ratio of 6:1. Our experienced advisors meet frequently with students to review and guide their progress. In addition to advising, a wide array of other academic support is integral to a Landmark College education, including executive function coaching, educational technology support, and the services of our centers for academic support. All instructors are trained professional educators, not teaching assistants or peer tutors. Originally founded as an associate degree-granting institution, Landmark College is expanding to offer more options. Our degree programs for students with LD include bachelor's and associate degrees in a variety of fields. We also offer an array of minors and concentrations. While many students earn a two- or four-year degree here, others attend our Bridge Experience, gain the skills and strategies they need to succeed, then transfer to another institution. We also offer a broad selection of summer programs for middle school students, rising high school juniors and seniors, recent high school graduates, and visiting college students. Through the Landmark College Institute for Research and Training, the nation's only LD-focused research institute located on a college campus exclusively for students with LD, ADHD, and ASD, we teach educators how to teach students who learn differently. 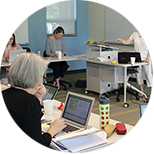 We offer an extensive menu of online and onsite professional learning offerings, including webinars, an online course series on executive function, a Summer Insitute, and an LD Innovation Symposium. 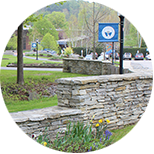 Landmark College is located in Putney, Vermont, in the southeastern part of the state. The campus is two and a half hours from Boston and four hours from New York. Southern Vermont also has a great deal to offer. Within half an hour of campus, students can find amenities more often associated with an urban environment, including movie theaters, shops, restaurants, live music, art, and theater. Students who love the outdoors will find world-class skiing, snowboarding, hiking, kayaking, and mountain biking just minutes from campus. 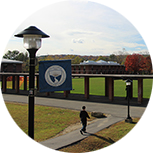 In addition to athletics, activities, student leadership opportunities, and all the off-campus resources of beautiful New England, an important aspect of student life is Landmark Colleges residential living model. Students who live on campus describe a strong sense of community. Many talk about the transformative experience of being surrounded entirely by other students who also have learning differences and who "get it." There's a true commitment to learning at Landmark College, both inside and outside of the classroom. Our academic programs are designed for students with learning disabilities, ADHD, ASD, and other learning and attention challenges. It is critically important to us—and to you—that we meet the same rigorous requirements as every other reputable degree-granting institution. Landmark College is accredited by the New England Commission of Higher Education (NECHE) (formerly the Commission on Institutions of Higher Education of the New England Association of Schools and Colleges, Inc.). Accreditation of an institute of higher education by the Commision indicates that it meets or exceeds criteria for the assessment of institutional quality periodically applied through a peer review process. An accredited college or university is one that has available the necessary resources to achieve its stated purposes through appropriate educational programs, is substantially doing so, and gives reasonable evidence that it will continue to do so in the foreseeable future. Institutional integrity is also addressed through accreditation. Accreditation by the Commission is not partial but applies to the institution as a whole. As such, it is not a guarantee of every course or program offered or the competence of individual graduates. Rather, it provides reasonable assurance about the quality of opportunities available to students who attend the institution. Inquiries regarding the accreditation status by the Commission should be directed to the administrative staff of the institution. Individuals may also contact: New England Commission of Higher Education, 3 Burlington Woods Drive, Suite 100, Burlington, MA 01803-4514, (781) 425-7785, info@neche.org. Students at Landmark College learn how to balance academics and social lives. They learn to access the tools they need for success in college, graduate school, and the workforce. And you can join them. If you are a prospective student, you can learn more about our degree programs, admissions process, and student life. We'd love to show you around in person, so please start now to plan your visit. If you are an educator working with students with dyslexia, ADHD, autism spectrum disorder, or executive function issues, you can learn more about our professional learning offerings and other LD resources for teachers. If you can't find what you are looking for, please contact us. We'd be happy to hear from you!